I got called “Gadget Girl” today while shopping at TJ MAXX. After thinking about the title, I decided to own it. I like gadgets, especially those that make packing and traveling easier. What kinds of gadgets, you might ask? 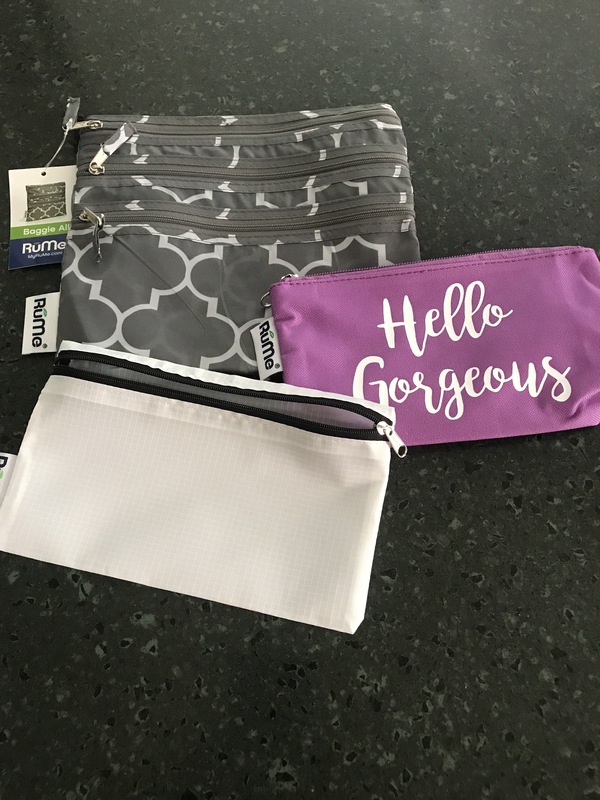 The bag is geared to keep thieves from casually unzipping the main compartment and removing a wallet or cell phone with locking devices at every opening. Plus it has RFID pockets built in to reduce the likelihood of someone scanning my credit cards and passport. The bag also cannot be easily sliced open and the straps are reinforced to prevent a thief from snipping one off. A couple of weeks ago I ordered some items from a company called RūMe. I’d seen their ad on Facebook, and thought, “Wow! Cool travel gadgets!” I didn’t pay for expedited shipping, though, and was beginning to worry that my items wouldn’t make it in time. So, I found a “contact us” link and shot off an email. They got back to me within 24 hours and provided a tracking link. After several days, the package still wasn’t moving, so I sent off another email. This one was answered immediately, and I was promised a speedy delivery. True to their word, I received my products Saturday morning, in plenty of time to practice packing for my upcoming trip to Ireland. Yay! So what did I order? 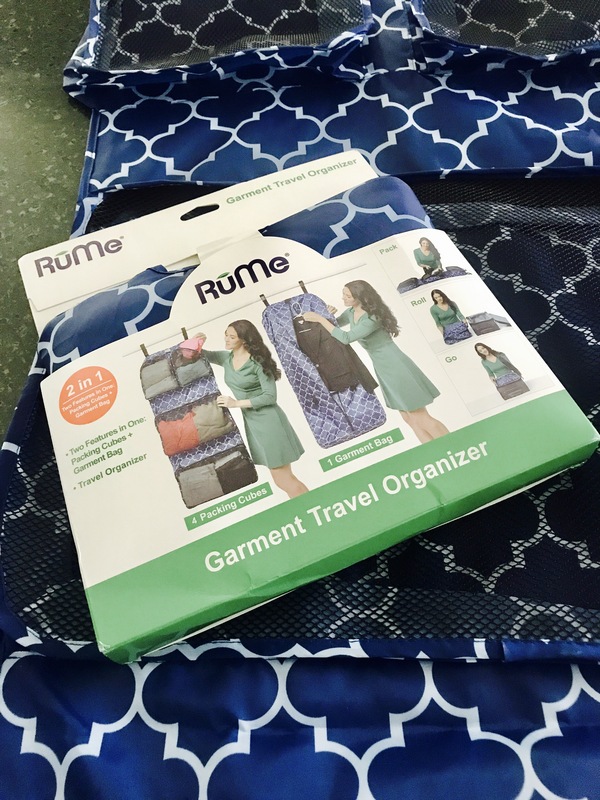 The product is called a Garment Travel Organizer. 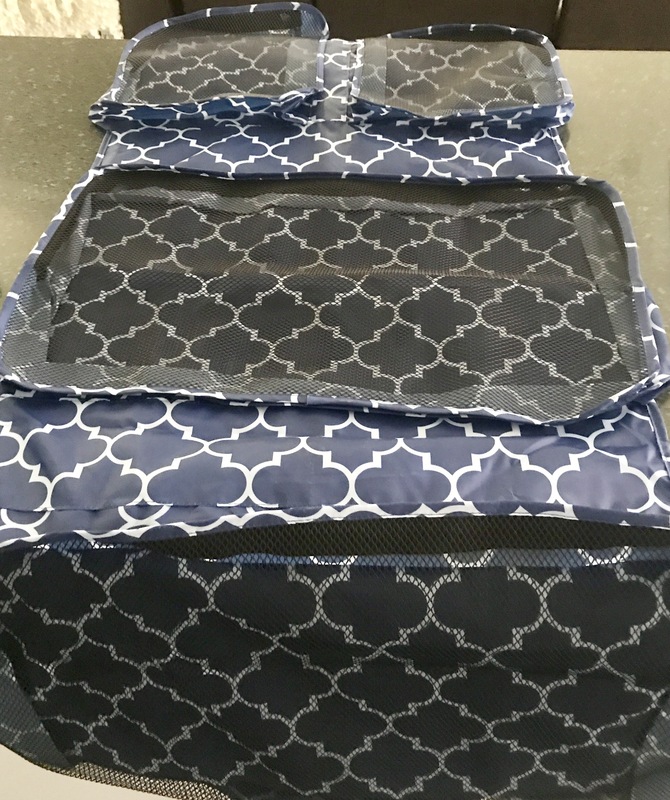 It allows for one to carry up to six items on hangers, and additional items in the mesh pockets. 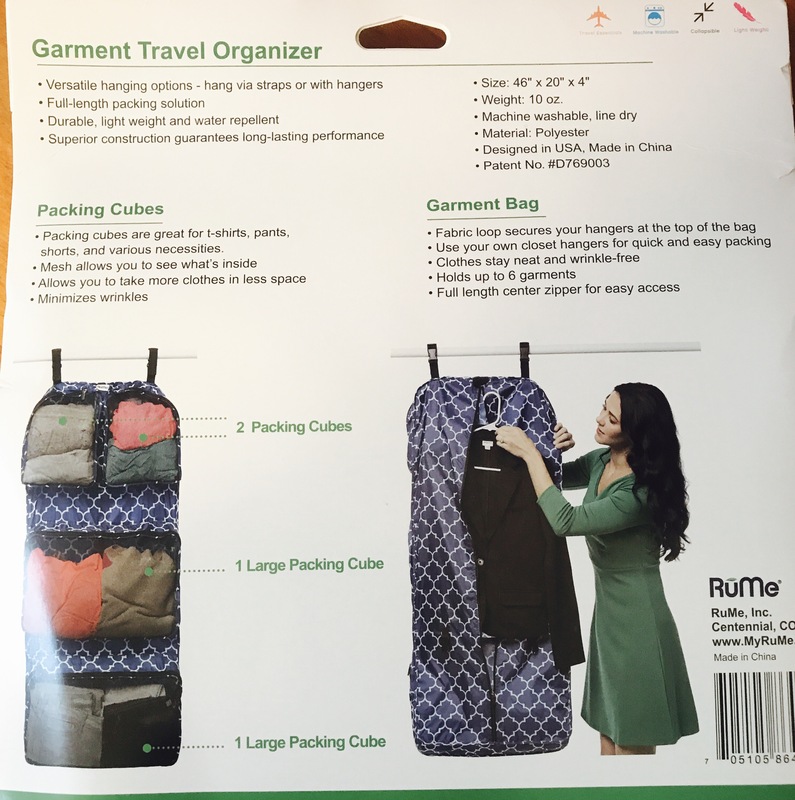 Supposedly, when one folds the packed organizer in thirds, it will easily fit into a carry on bag. 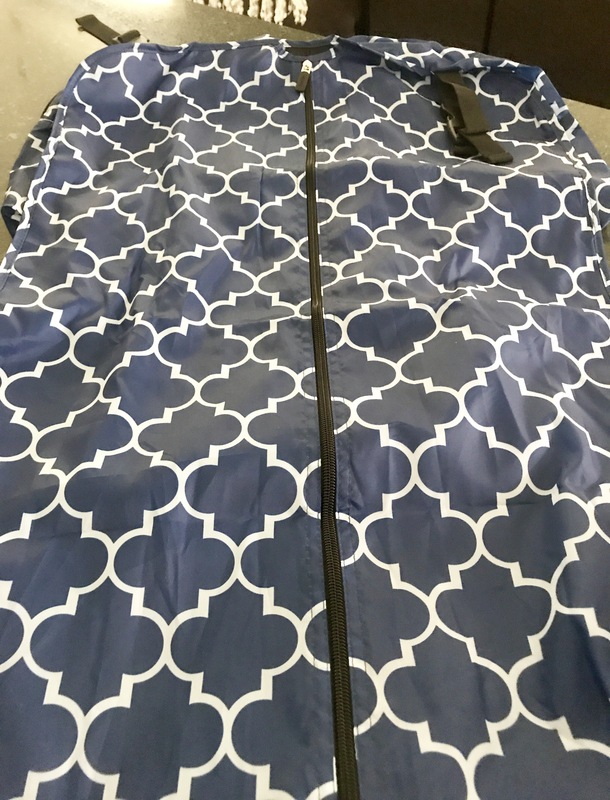 There were several patterns from which to choose, but I’ve been on a blue kick lately, so I ordered this navy and white number. 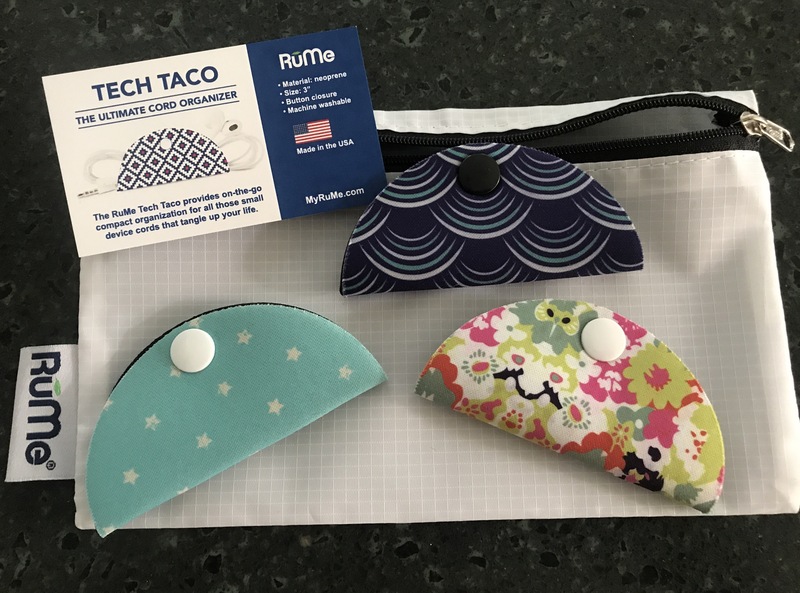 I also received this trio of Tech Tacos to keep cords from tangling. Cute, eh? I’m extremely pleased with my RūMe products. They look good and were reasonably priced. And the RūMe staff was responsive to my needs. I’d order from them again. My Gadget Girl status remains intact. We leave on the 21st! Eeeee! Ireland! Wow, have a great (and organized!) trip.